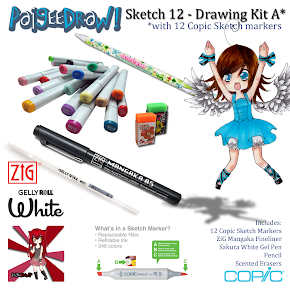 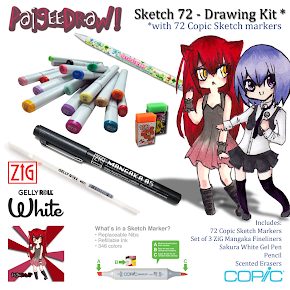 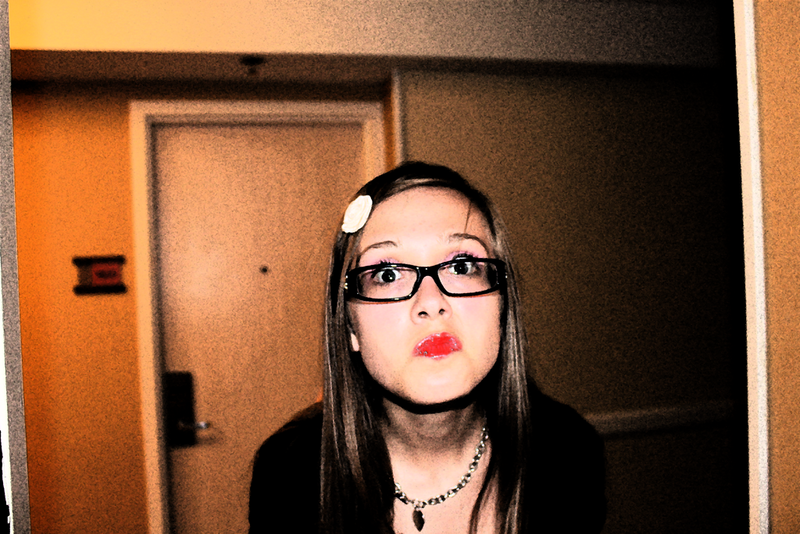 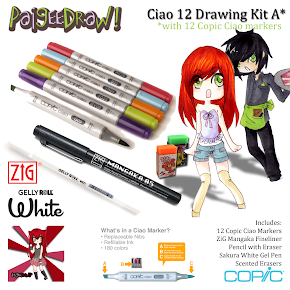 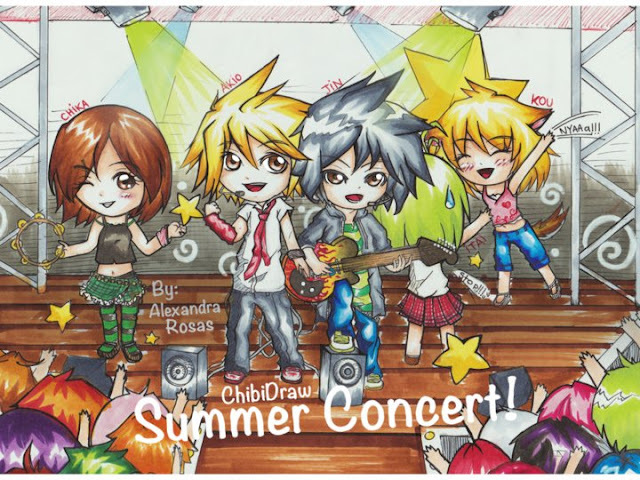 Paige Rohrick of PaigeeDraw is pleased to announce the 1st Place Winner of the ChibiDraw FREE "Summer Holidays" Contest! 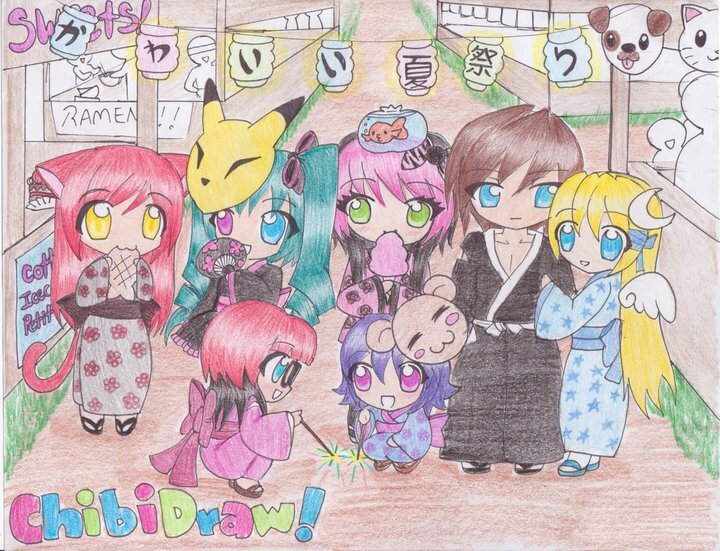 The winner had not one but 2 drawings in the top 10! The winning drawing was amazing. 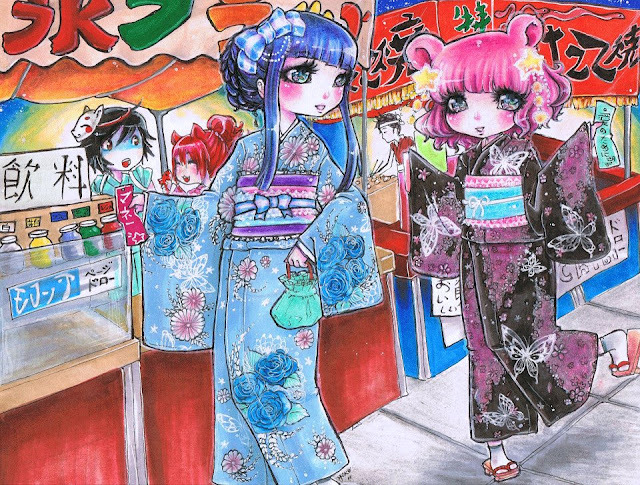 The style and coloring was really neat and I especially loved all of the details. The water especially amazes me; I've always wanted to try coloring it like that and this artist did a great job with it! 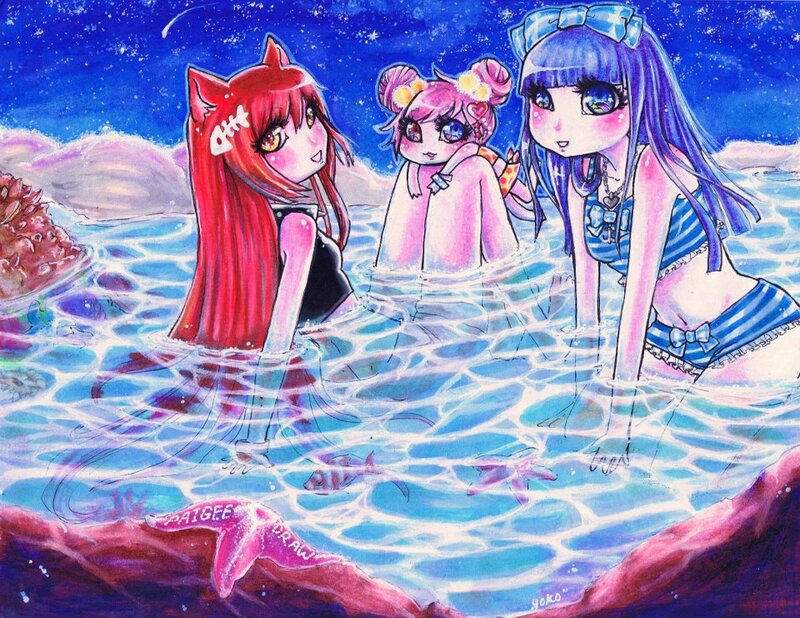 Title of Drawing: (Optional) "Midsummers Night Swim"
Materials: Prismacolor pencils, Prismacolor markers, Copics, Sakura Micron pen, Sharpie white out. Characters Names in Drawing: Aoi, Nyan, the mysterious boy and my OC Kumi. Title of Drawing: (Optional) "Tanabata Stroll"
Mediums Used: Prismacolor pencils, Crayoal colored pencils, Prismacolor markers, Copic markers, Sharpie white out, Gelly roll gel pen, Sakura Micron pen, ballpoint pen. 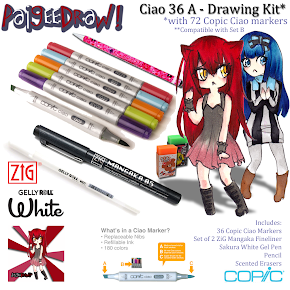 Drawing Displayed as a Contest Winner on a future release of a PaigeeDraw App. 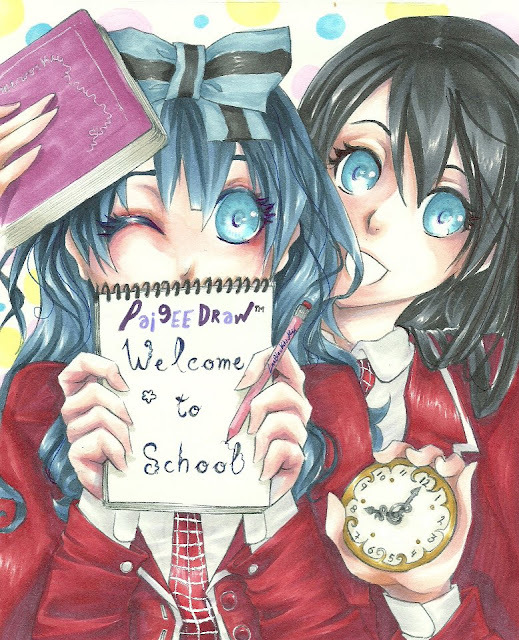 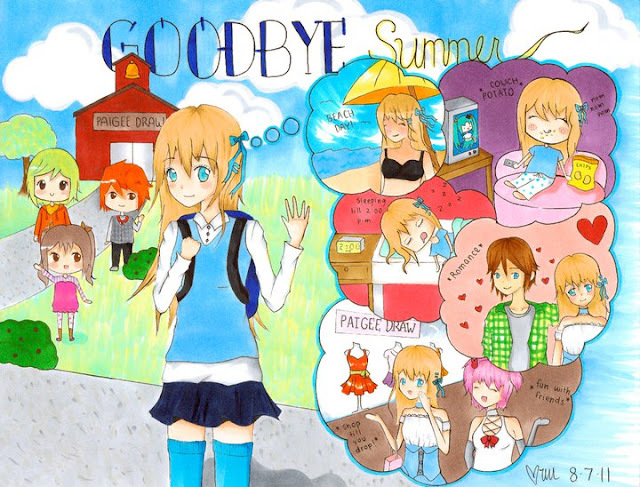 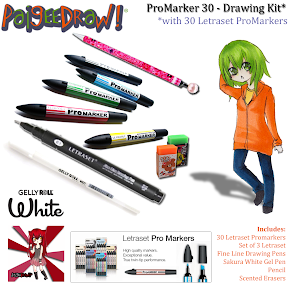 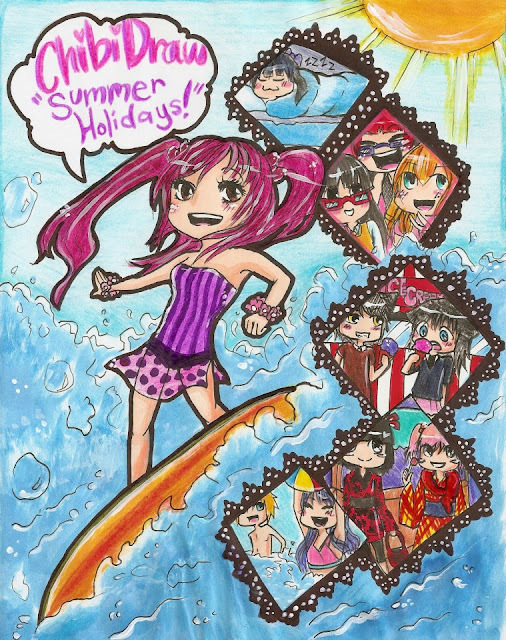 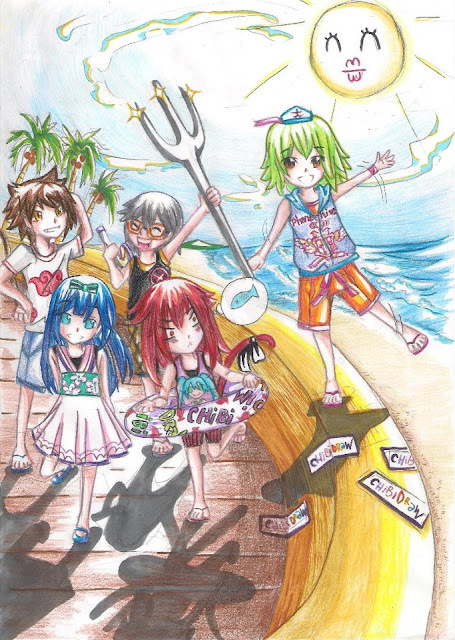 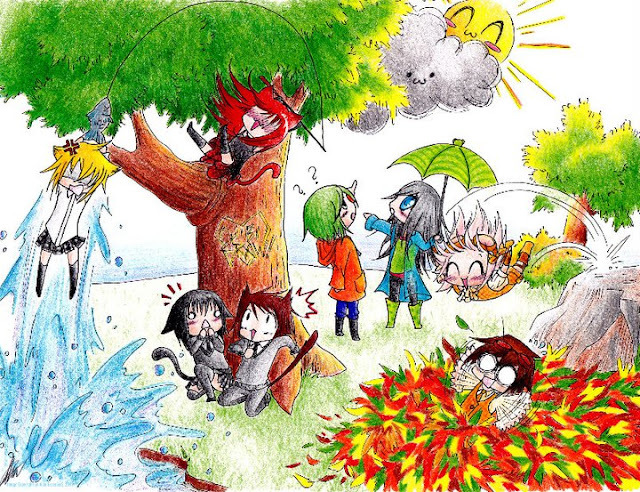 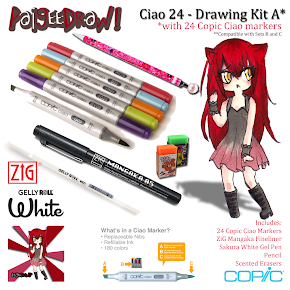 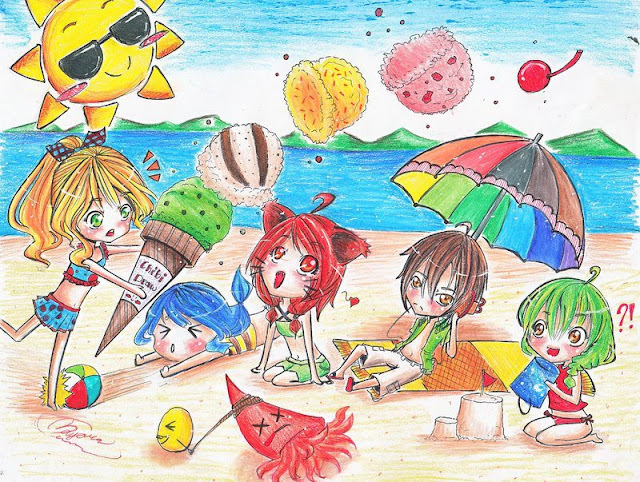 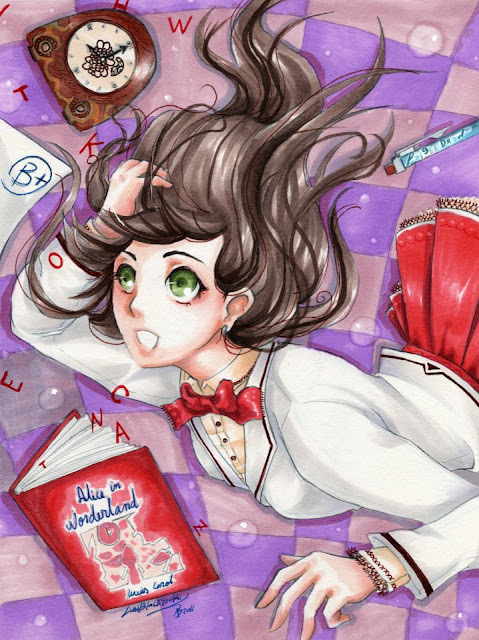 Paige Rohrick of PaigeeDraw is pleased to announce the 3rd Place Winner of the ChibiDraw PRO "Summer Holidays" Contest! 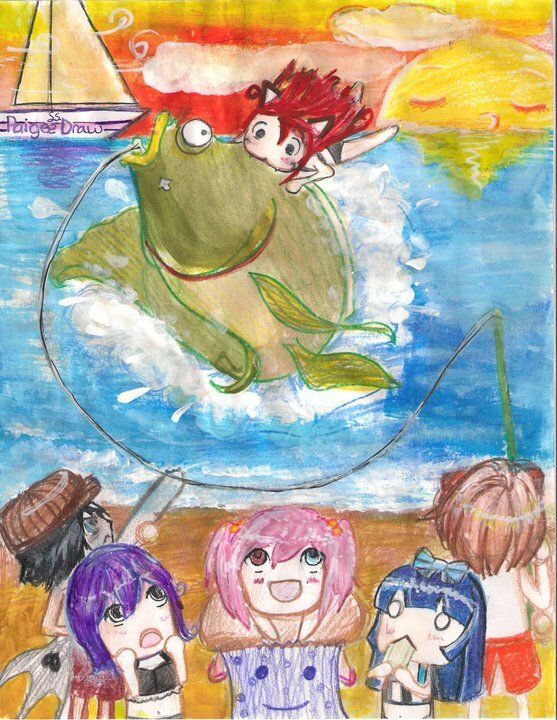 We have already seen this entry before! 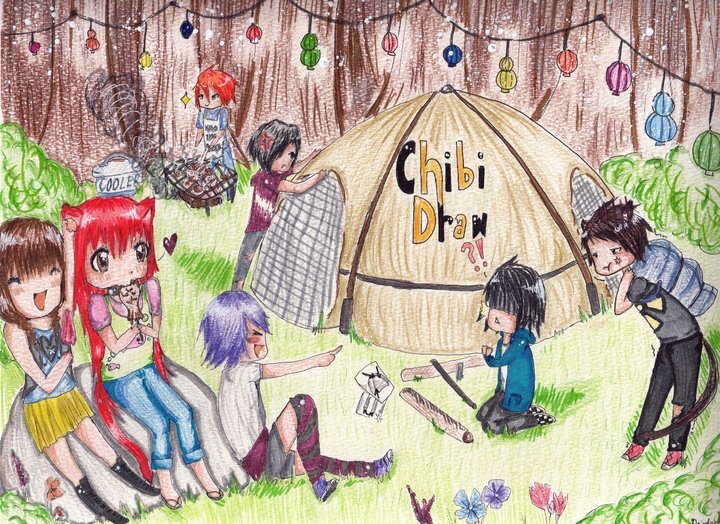 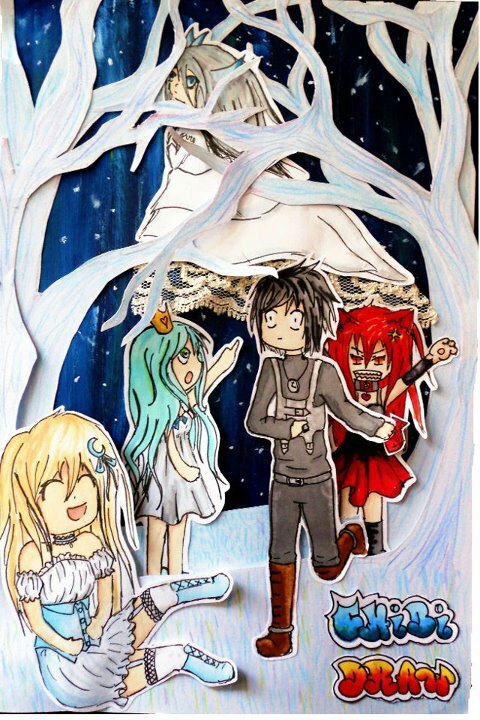 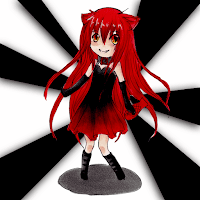 This entry was the 1st Place Winner of the ChibiDraw "Most Likes" Prize!